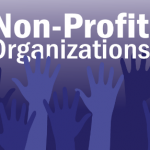 Are you planning to establish your own non-profit corporation? First thing’s first, do you even know what a non-profit corporation is? A non-profit corporation is an organization created to do charitable, scientific, literary, religious and educational purposes. Since it is a non-profit corporation, it does not have to pay any state or federal income taxes on the money it makes from the projects and programs it does to fulfil its objectives. They are exempted from tax because the state tax agencies and the IRS believe that these corporations can provide so many benefits to the public through the activities it conducts. The federal tax exemption for these types of organization can be seen in the Internal Revenue Code’s Section 501 (c)(3). This is the main reason why non-profit organizations are sometimes named 501 (c)(3) corporations. Creating a non-profit corporation is just like creating any other regular corporation, the only difference is you have to go the extra mile in getting a tax-exempt status by applying for it with the IRS. First you have to choose a business name that meets your state law’s standards. You must make sure that it is not similar to any other business name. File the articles of incorporation papers, which usually cost below $125. Apply for tax exemptions at the federal and state tax agencies. Establish the corporate by laws, which makes up the backbone of your non-profit corporation’s operating rules. Start the board of directors’ first meeting. Get the proper permits and licenses needed for your non-profit corporation. You can visit the website of other state filing offices to find out if your non-profit corporation name is unique. You can also visit the same website to know the standards for business name in your state. Sometimes putting up any corporation, including a non-profit, can be very daunting with the labyrinth of processes. To make sure you get through these procedures smoothly, it is always best to consult or hire an affordable attorney to form non profit organization.